The Rotary Club of Christchurch are once again supporting the Kids Kitchen which will be held in a large tent in the Festival Village on the Quomps during the Christchurch Food Festival on Saturday 11 and Sunday 12 May this year. The Kitchen is organised and run by the Christchurch Food Festival Education Trust, a registered charity which encourages the local community to eat healthily and introduces them to the techniques of cooking. Festival founder and President Mary Reader explains “this year we are making changes and the marquee will be split into two halves. 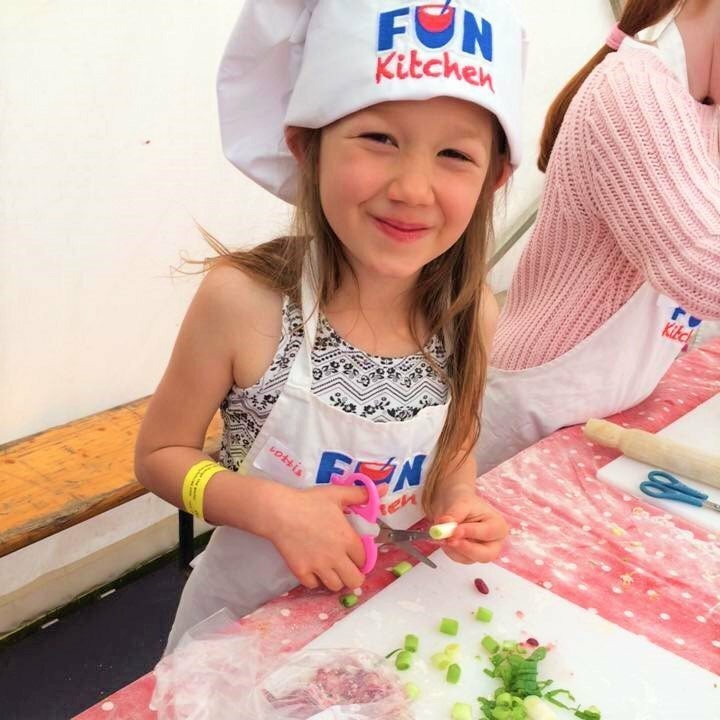 One half will be run by an award-winning company ‘Fun Kitchen’ with hands on workshops. The other half will be a ‘Learning Zone’ run in association with Bournemouth University and Waitrose and consist of demonstrations, quizzes and competitions. Visitors will only need to buy tickets for the Fun Kitchen, as the Learning Zone will be free of charge. Each session in the Fun Kitchen lasts for 1 hour. There are sessions for children to come on their own and others where parents, grandparents, aunties, uncles etc. can come along to cook with their children. Festival Ambassador TV chef Lesley Waters will be running one special session on the Saturday for parents and children. Lesley will make Koftas with a warm red pepper salad with a garlic and olive sauce and brown mustard seed pitta bread. Tickets are on sale at the Regent Centre on line at www.regentcentre.co.uk or contact the box office on 01202 499199. Have you booked for the Kids Kitchen yet?